You may have read the Daily Mail’s article about a carb blocker that’s been “proven by science to promote weight loss” called Tribitor. Tribitor is also being reported to prevent post-meal slumps, or “crashes”. By dissolving it in water fifteen minutes prior eating high glycemic index (GI) – fast-carb rich – foods. The Daily Mail’s article and other news reports state that it has the ability to prevent the absorption of some carbohydrates which can in turn reduce the amount converted and stored as fat. 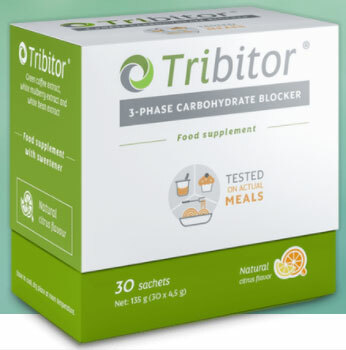 Type 2 diabetics are a big chunk of the target market because Tribitor may help reduce the blood sugar spike following a meal, thereby helping to re-sensitize insulin and reduce the energy crash associated with fast sugary carbs. Tribitor – What Is It Made Of? 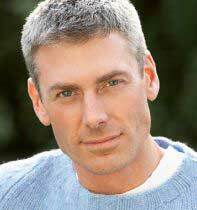 As you can probably tell, this is a supplement rather than a drug or prescription medication of any kind. The ingredient are natural and have been subjected to clinical trials. Enough evidence from the scientific studies pointed to a downward trend in the participants’ appetite/meal regularity and thus fat storage. The 3 ingredients listed above are the only active elements of this supplement. Here’s a little more information about them. This is actually referring to White Kidney bean extract which has been shown in studies to block carbohydrates. Carb blockers basically prevent some of the sugars and starches from being absorbed, thus leaving them to be purged as waste. This has the obvious advantage of reducing the overall calories that can be stored as fat, without the need to avoid eating them in the first place. This sounds like an ideal scenario: great, I can eat junk but not put weight on. However, it is not that simple and people who are looking to succeed with weight loss still need to partake in a calorie controlled diet. Phase 2 is a brand of processed White Kidney bean which has been made safer by reducing the high content of PHA (phytohaemagglutinin). 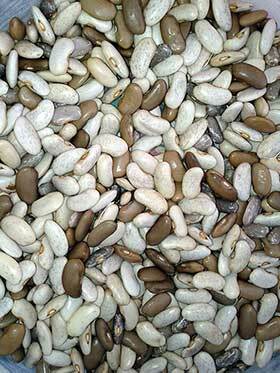 Other extracts of White Kidney bean may not have been processed like this, and are therefore not as safe. It is unclear as to whether Tribitor uses the Phase 2 brand of White Kidney bean extract, but there is no indication of it on the label. That said, White Kidney bean is not as effective as chlorogenic acid at reducing carbohydrate absorption. Another carb-blocker and sugar spike reducer, White Mulberry is a natural plant extract. It should probably be at higher doses to have a significant effect but again high doses have not been tested on humans. 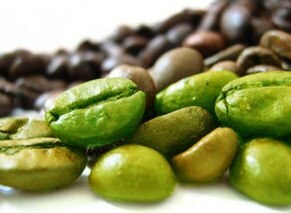 Unroasted coffee bean extract’s Chlorogenic acid, has been in the diet supplement industry for a while now. It has proven carb blocking abilities, and is potentially the strongest of the three ingredients in this regard. 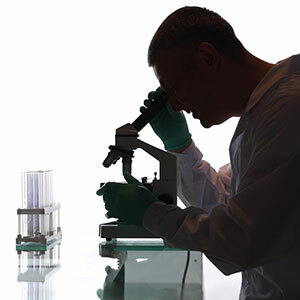 The dosage in Tribitor is the current recommended quantity garnered from the scientific data. 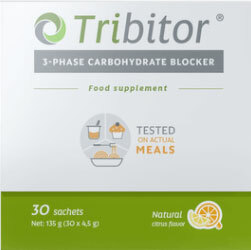 Tribitor must be taken 15 minutes prior to a meal containing high GI foods, otherwise it will have no effect for reducing the absorption of those carbs. It is in the form of a soluble drink powder. Should you decide to use Tribitor, follow the directions closely. Are There Any Negative Side Effects of Tribitor? There should be no significant side effects from using Tribitor. The only concern we have is whether the manufacturer is using the most safe extract of White Kidney bean known as Phase 2. However, pregnant and breastfeeding women should avoid using this product. As should anyone with a medical condition that may be complicated by the ingredients. Consult your doctor if you have a medical condition or are using prescription medication. Where Can I Buy Tribitor? The product was developed in Poland, but is available to purchase online from the official Tribitor website. 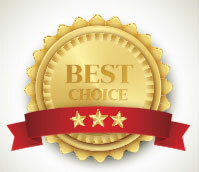 We will have to give Tribitor more time before we can give a definitive yes or no as to whether you should buy it. There are stronger supplements for weight loss, that’s for sure, whereas Tribitor might work for some people and not others. That’s the nature of carbohydrate blockers, as with many different types of diet supplement.